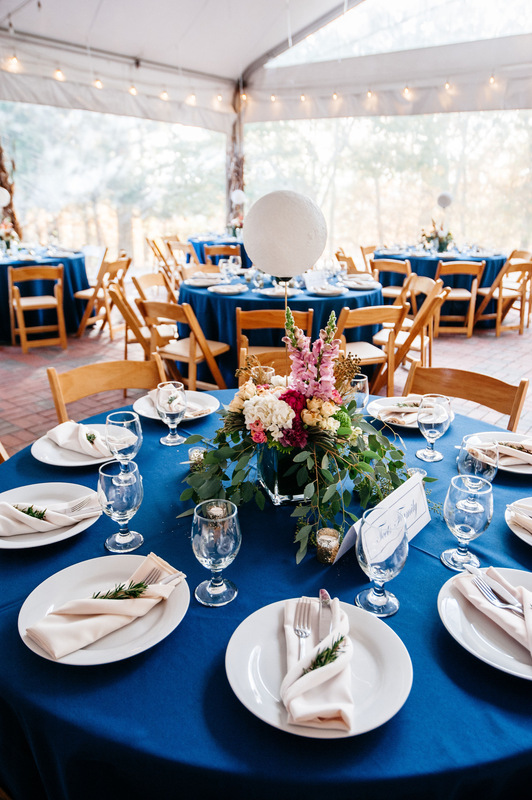 Park-like grounds and celestial views make Dyer Observatory an exceptional venue for social and business events. The library, with its domed theater, is a perfect place for weddings, corporate functions, meetings and dinner parties. A spacious covered patio provides an open area for larger gatherings. Also on the grounds is “Murial’s Retreat.” Nestled among the trees, the 2,000-square-foot house offers a living room-sized meeting space, three breakout rooms, a fully-equipped kitchen, and a spacious outdoor deck and patio. 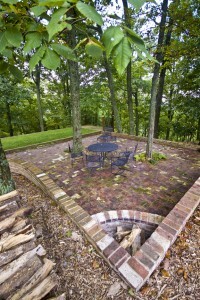 The house is perfect for corporate, educational, and private group retreats. 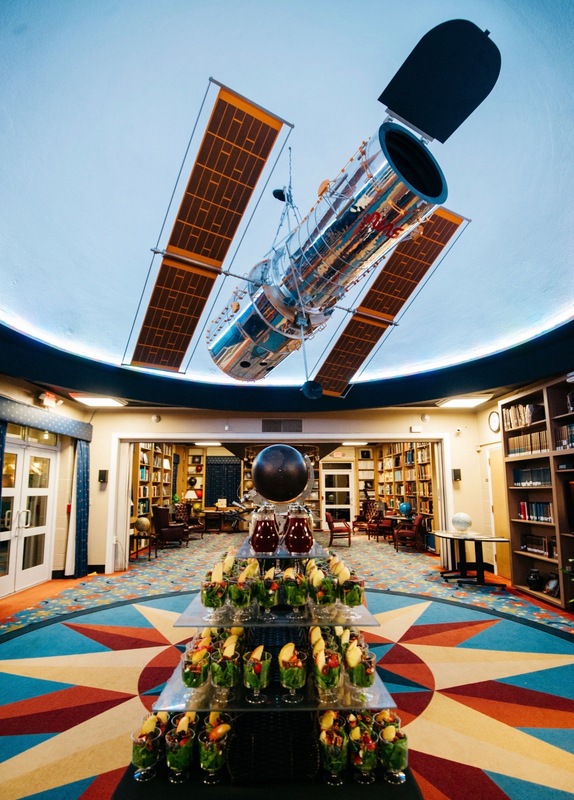 Both the Observatory ground floor and the residence are wheelchair accessible. For more information, please email your request to Helen Morisette or contact us at 615-373-4897. All site visits require an appointment. 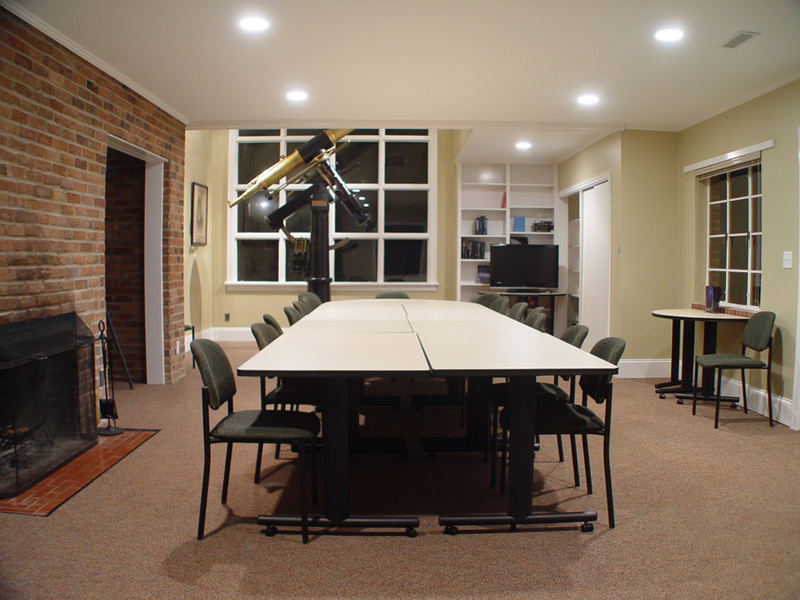 The Observatory has a 24″ telescope and rare antique astronomical instruments. A beautiful domed library with spacious front and backyard plazas take advantage of a secluded hilltop setting. The grounds can accommodate tents for large outdoor gatherings. 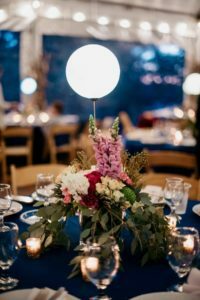 The observatory grounds are large enough to host 300 people with tenting and tables. 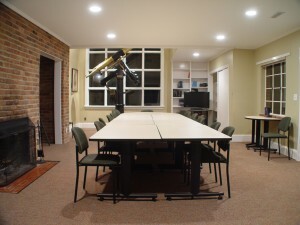 The Dyer Observatory residence includes a great room, breakout rooms and two handicap accessible restrooms. 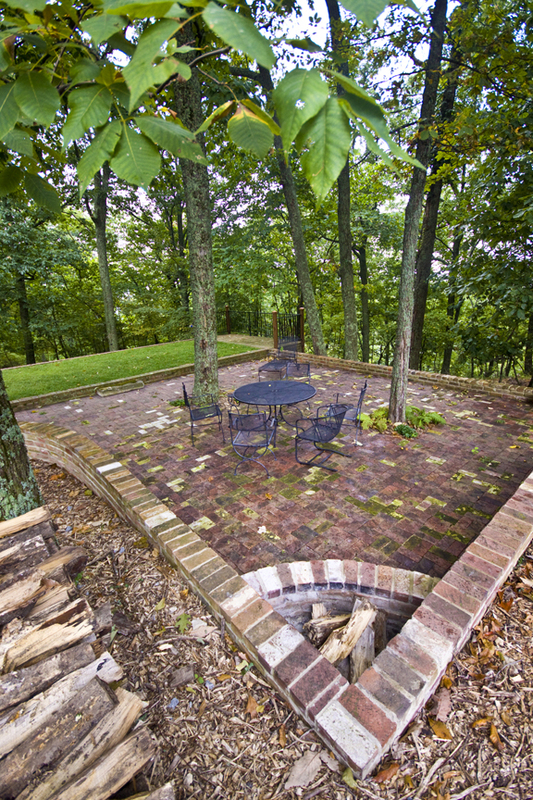 Amenities include a full kitchen for catering, wood burning fireplace, an overlook deck in front, wonderful brick patio in rear, and firepit, all surrounded by amazing panoramic views. The Residence is 2,000 sq. ft. Inside Muriel’s Retreat. This charming home on the grounds of the Observatory was the home of the first Director, Dr. Carl Seyfert, and his family. The name honors Muriel Seyfert, Carl’s wife, who also did research at the Observatory, raised their children, and painted portraits just inside the oversized window. Traditionally the observatory has been closed December-February due to maintenance and the high probability of cancellations due to inclement weather. Dyer Observatory’s hilltop is a few degrees cooler than below, and even a slight shower that presents no problem in Brentwood, may make our road treacherous. 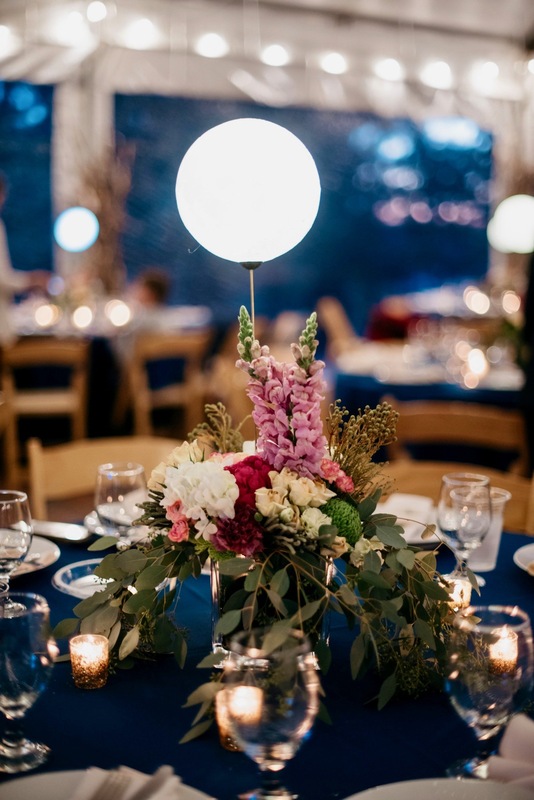 If you’d like to schedule an event at Dyer knowing that you might need an alternative location if the weather turns inclement, we’d be happy to make arrangements. The patio area on the west side of Muriel’s Retreat often offers beautiful sunset views.